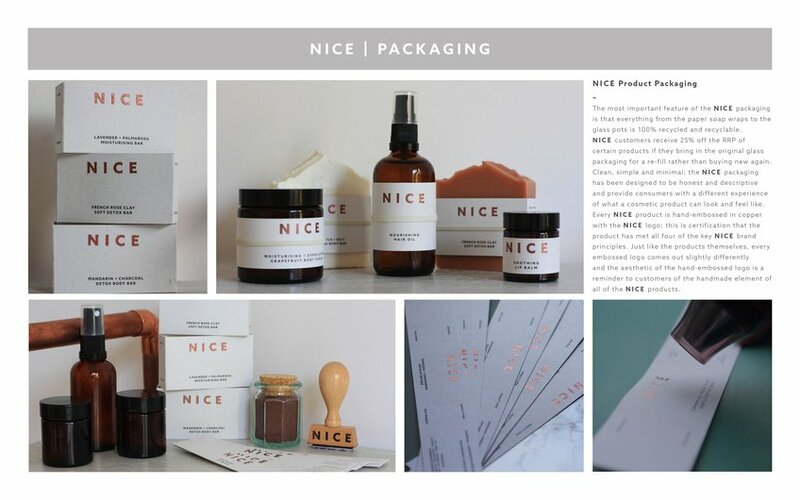 NICE offers a different kind of cosmetics brand; one that is built upon four main principles that make up the acronym that gives the brand its name. 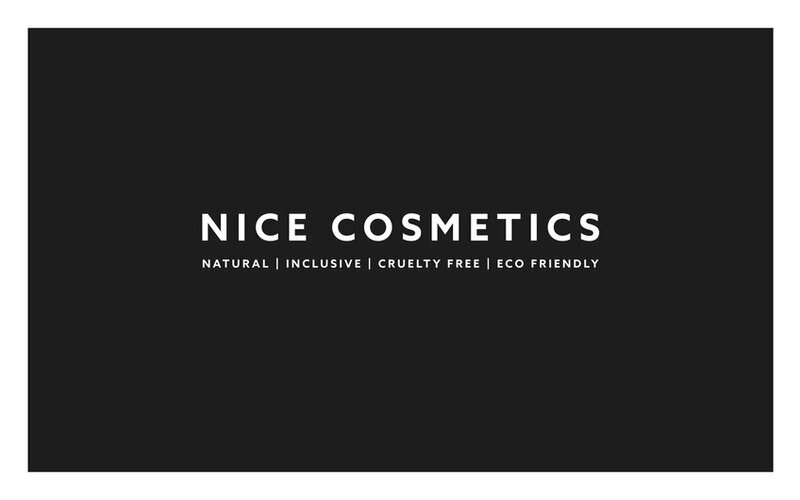 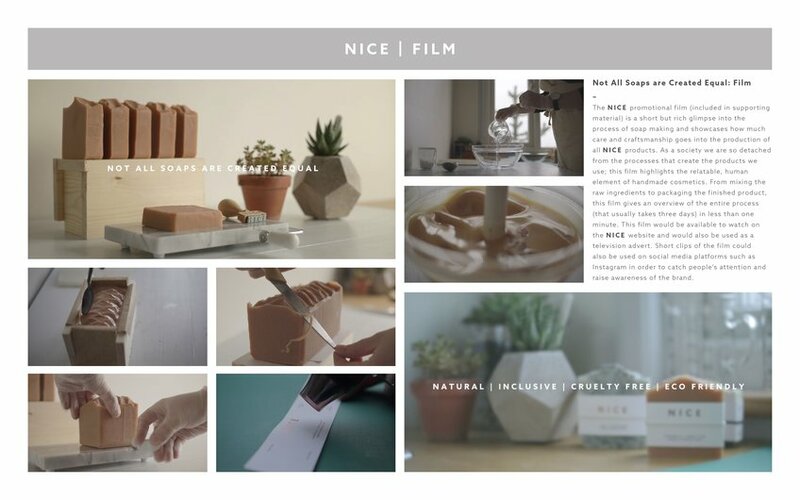 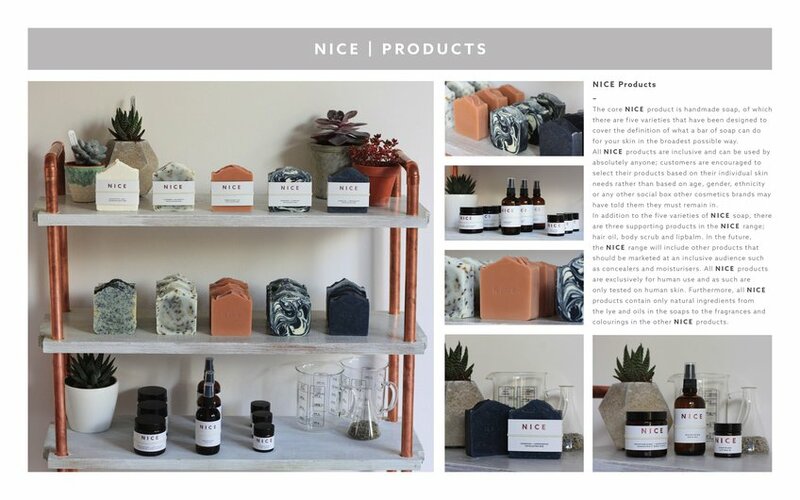 Natural, inclusive, cruelty free and eco friendly, NICE breaks new ground in the world of cosmetics branding and shows what a modern day cosmetics brand can, and should, be. 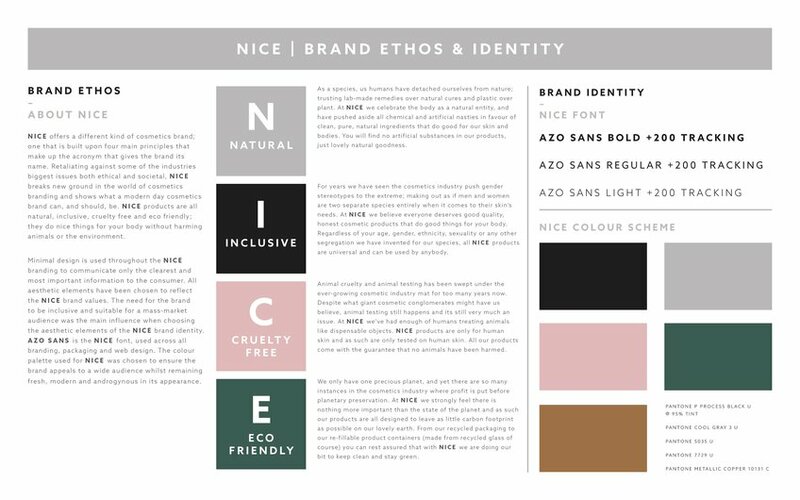 Minimal design is used throughout the NICE branding to communicate only the clearest and most important information to the consumer. 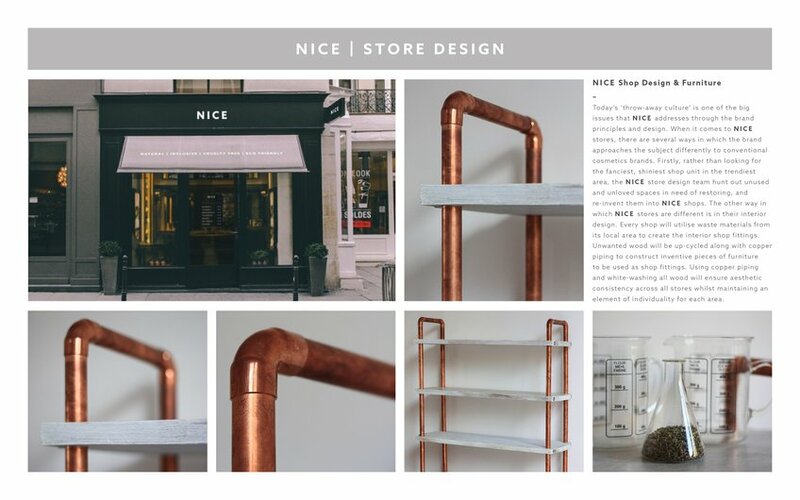 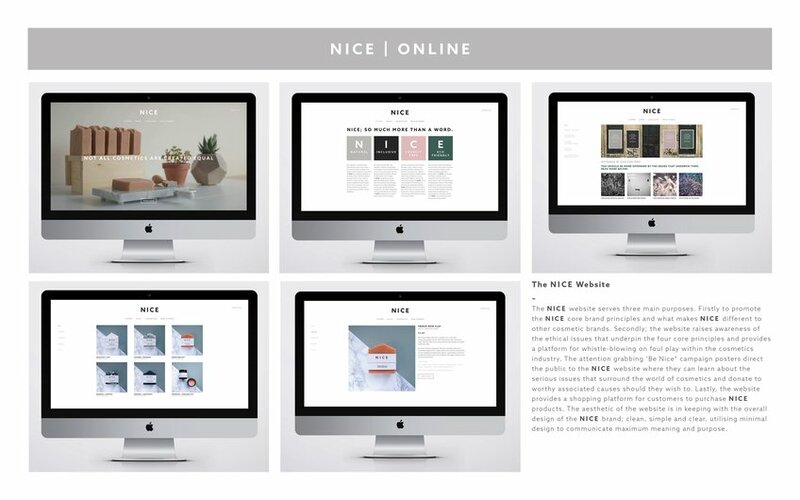 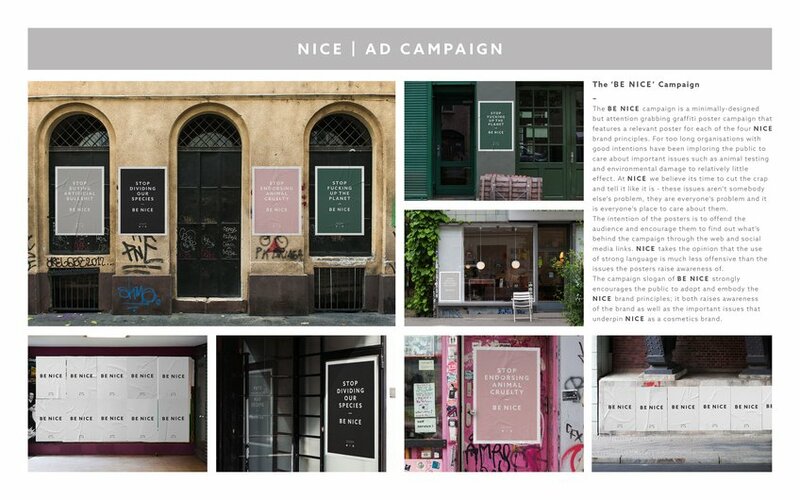 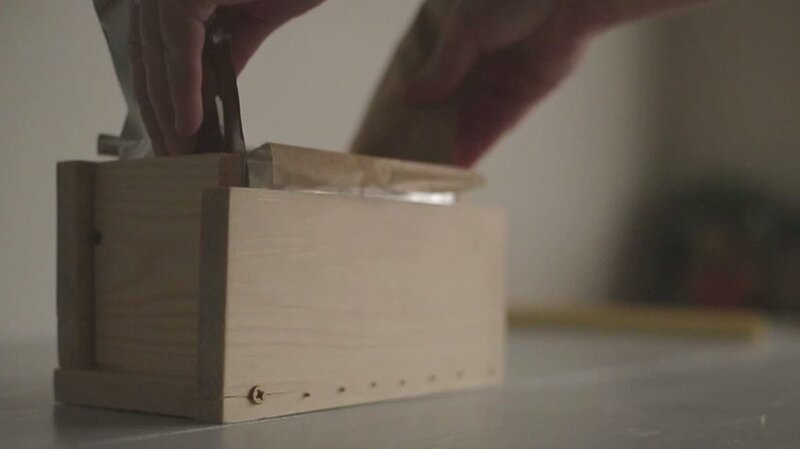 All aesthetic elements have been chosen to reflect the NICE brand values as well as to appeal to a mass-market audience of conscientious consumers.